Safed Musli is a medicinal plant, which has small, generally white flowers. It is one of the most popular herbs, which can be used in different ways to maintain the overall health and well-being. Safed Musli is a medicinal plant, which has small, generally white flowers. It is used as an effective aphrodisiac agent, which has opened up channels for its profitable cultivation in many regions all over the world. It has been used in many Ayurveda formulations because of its unmatched medicinal and therapeutic properties. 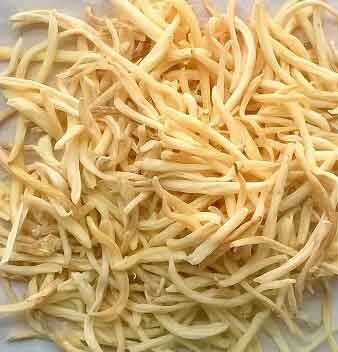 Safed Musli is rich in fiber, saponin, alkaloids, carbohydrates and proteins. It is used to treat male impotency issues as well as signs of fatigue. Men, who have low sperm count and reduced libido, can use it. It is also considered as an energy booster in asthmatic situations. It enhances the general immunity of the body. It also enhances the flow and quantity of the breast milk, in nursing mothers. It also impacts the activities of antioxidant enzymes and vitamin C.
It is useful in the treatment of postnatal and natal issues. It also cures arthritic and diabetes conditions. This herb also impacts the obesity and control to its optimal level. It can be crushed into the powder form and can be taken with milk.